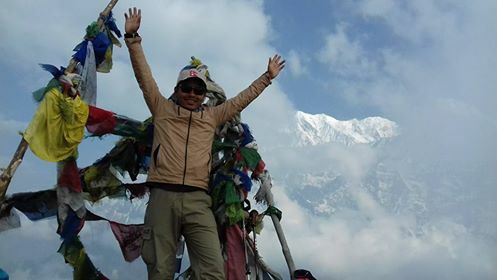 Located in the eastern part of Nepal not far from the famous Annapurna Base Camp, we can find the mighty Mardi Himal with the heights of (5587 m). 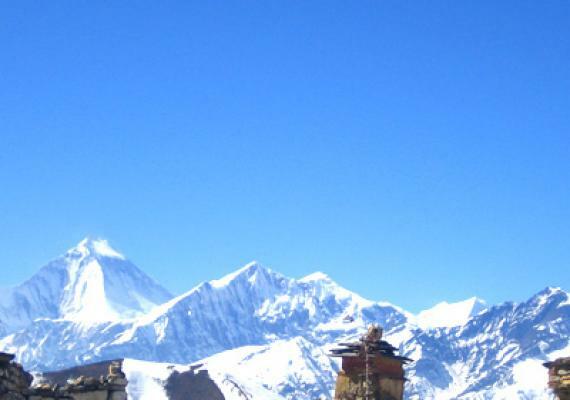 South of the Annapurna Mountains and 20 Km north of Pokhara, many adventures and trekkers head for the Mardi Himal. Lush Bamboo forests and stunning rhododendron bushes cover the beautiful valley of the Mardi Himal. While trekking in this amazing region. We have the spectacular Mount Machhapuchhre also known as the Fishtail Mountain looks over us from the northeastern side. Enormous hanging glaciers form a natural wall between these two giants, connecting them is a pass located at a height of 5200 meters. 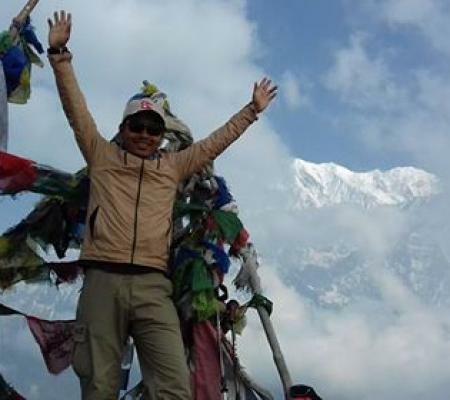 The final destination of the Mardi Himal trek is to reach the Mardi Himal base camp located at 4500 meters this place becomes more and more famous. A small zigzag path leads us through beautiful traditional villages where we can be introduced to the different way of life in the Himalayan region, on the way we are rewarded with amazing views of the rice fields located on the terraced plateaus. Not only rustic villages and green forests but also strong rivers will be our guide on our journey to the Mardi Himal base camp. On the way, we have spectacular views of the Himalayas, such as the Hiunchuli, Mardi Himal, Annapurna South, and Machhapuchhre. On the way, you can find many teahouses and lodges which serves you the traditional Himalayan foods that you can enjoy with the panoramic views of hills and beautiful mountain scenery. 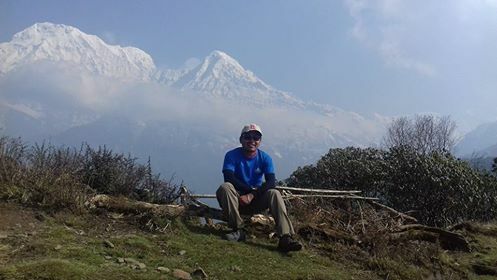 Although Mardi Himal is a short trek but is fully enjoyable. 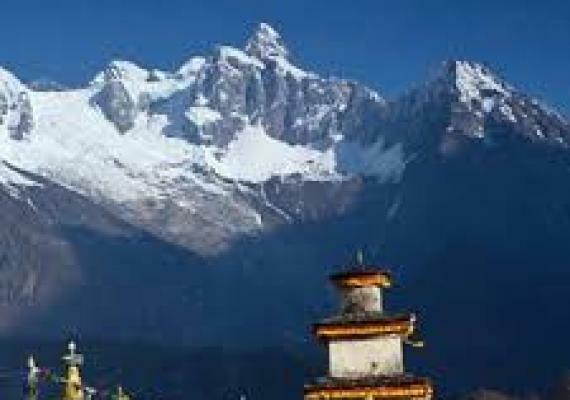 The Mardi Himal trek starts from Kathmandu with a scenic overland drive to reach famed and popular tourist destination Pokhara, which is one of most beautiful cities, blessed with natural beauty where Mt. Annapurna Mountains reflect on its serene Phewa and Begnas Lakes. 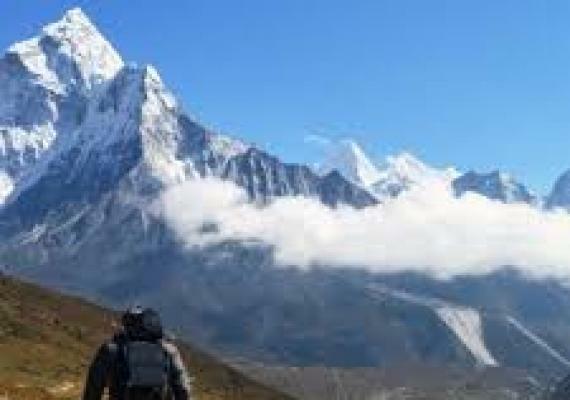 From Pokhara, our real trek begins after you reach Phedi. Walking along the high ridges of Annapurna area hills takes us through Gurung Village of Buddhist culture. 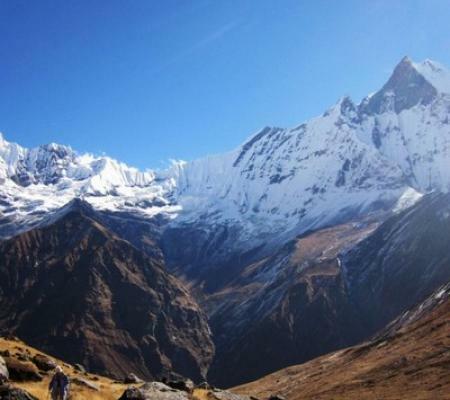 Finally, our trail leads us to the destination of this trek Mardi Himal Base Camp. From here you can enjoy panoramic views of mountains and amazing landscapes. As soon you’ll arrive at Kathmandu, we’ll send our representative to receive you and transfer you to the hotel. After a short rest, we’ll go visit some religious and historical places in Kathmandu Valley. We will begin our sightseeing tour within Kathmandu, observing the UNESCO World Heritage Sites such as Hanuman Dhoka Square, Pashupatinath Temple, Swoyambhunath, Boudhanath Stupa and so on. Boudhanath Stupa and Pashupatinath which are the most famous place in Kathmandu. As morning raises, you will be taking to visit some religious and historical places in Kathmandu Valley. We will begin our sightseeing tour within Kathmandu, observing the UNESCO World Heritage Sites such as; Hanuman, Dhoka Square, Pashupatinath Temple, Swoyambhunath, Boudhanath Stupa and so on. Boudhanath Stupa and Pashupatinath which are the most famous place in Kathmandu. In the morning, after breakfast, we’ll drive towards Pokhara through Prithvi Highway. Around 6 to 7 hours journey takes you to Pokhara. 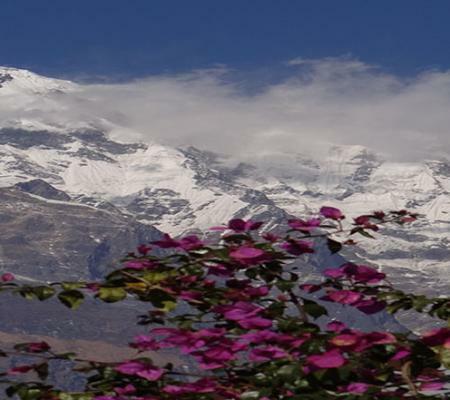 During the journey, we can enjoy impressive mountain views like Annapurna range, Manaslu range, Machhapuchhre, and Dhaulagiri. After the proper rest, we’ll drive half an hour to Phedi. We’ll start our trek journey from Phedi towards Deurali. After lunch, we’ll head downhill to Pothana and then climb up to Deurali. We’ll stay overnight in Deurali. The next day, we’ll continue our trek towards forest camp through a dense forest of oak, maple, hemlock, and rhododendron. Tonight, we stay at one of the lodges at forest camp where we’ll have a lunch. We’ll stay overnight in the forest camp. We’ll have a short walk on this day. The trail continues from Forest camp to Low camp through the beautiful forest and will capture the stunning natural scenes. The view from Low camp is superb with Mt. Machhapuchhre visible up the valley along with different traditional villages, surrounding landscapes and mountains at close range. We’ll stay overnight in low camp. After a pleasant overnight stop, we’ll head towards the upper and higher Ridgeline of Mardi Himal. 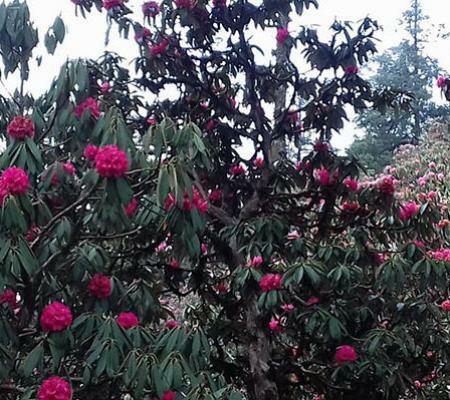 We’ll trek through tall tree lines with some isolated rhododendron bushes along the way. 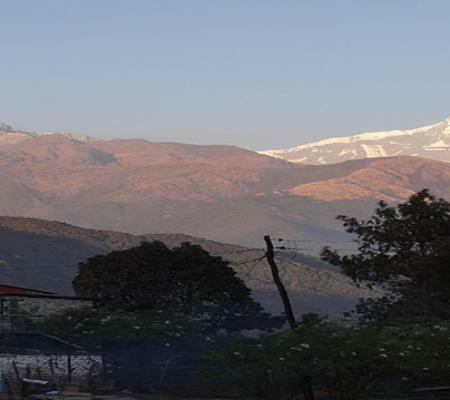 The high camp offers you wonderful views of the surrounding hills and landscapes with high snow-clad mountains. We’ll stay overnight in High camp. After the early breakfast, today plan is to see sunrise view of the mountains from the upper viewpoint, then after that, we’ll walk back to the high camp. We’ll stay overnight in high camp. 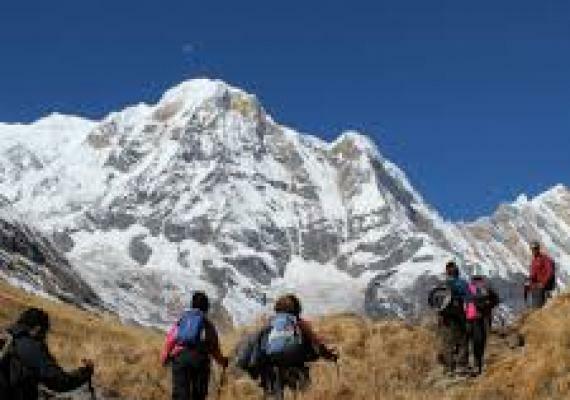 The next day, we’ll trek towards Siddha village after an enjoyable and memorable walk on the high ridges of Mardi Himal with amazing views. The trail consists of forested areas full of rhododendron and pines trees. 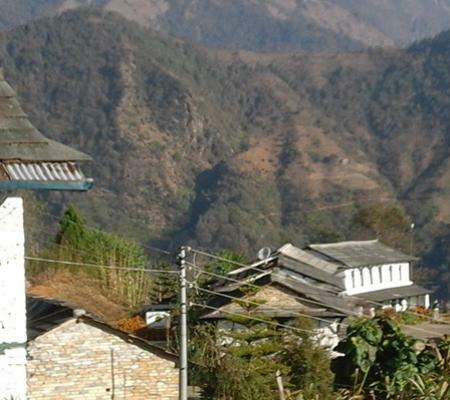 Siddha is a traditional Nepalese village with unique culture and tradition. We’ll stay overnight in Siddha village. 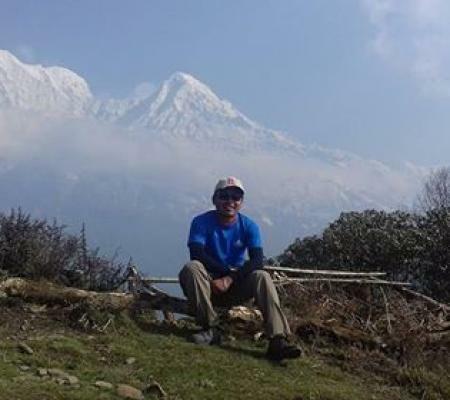 Last day of trekking of this great adventure after being on hidden trails of Annapurna area, we’ll trek towards Lumre. On the way from Lumre, you can visit Kali Mandir at Pokhari Swara which is one of the holiest temples in Lumre. After breakfast, we’ll drive back to Pokhara. It’s your final day, after the early breakfast in the morning; we’ll drive back to Kathmandu, with few rest-stops for refreshment and lunch, after 6 hours of good drive reaching back to Kathmandu. We’ll stay overnight in Kathmandu. You can have rest and shortly look after all the snaps that you captured along the tour. We’ll stay overnight in Kathmandu. Our airport representative will check your flight tickets and transfer you to the airport before two hours of your flight. Excess baggage's charges in domestic flights.